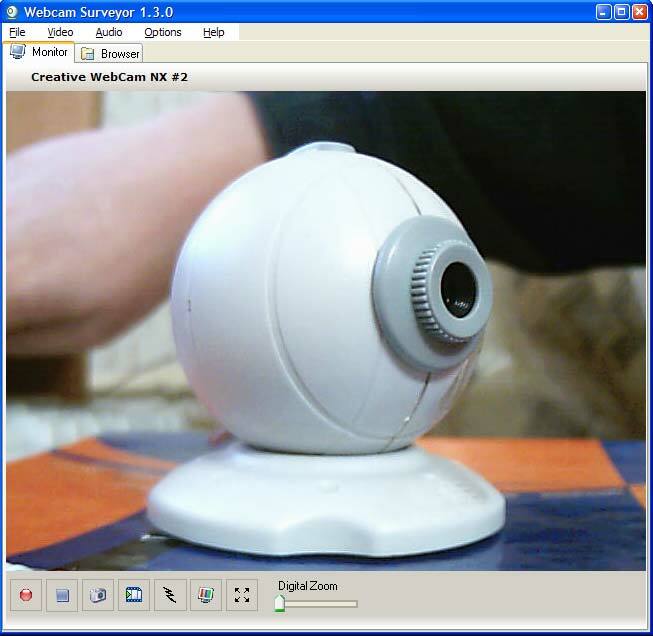 Webcam Surveyor is complete webcam software that combines video surveillance and video capture tools. With Webcam Surveyor you can record all video activity, work as a motion detector, program alerts to be trigged by events (send a e-mail, upload images to FTP site). This makes it possible for you to observe remotely whatever activity your camera captures. Supported video/audio codec's: MJpeg, DivX, Mpeg-4, MPEG Layer 3 (MP3), WMA, etc. ...... Webcam Surveyor is supported video and audio codec's like: MJpeg, DivX, Mpeg-4 and MPEG Layer 3 (MP3), WMAudio Encoder (WMA). .
* Capture Video/Audio - Using sophisticated algorithms of video compression Webcam Surveyor can record videos with sound for a few hours. * Capture Image Sequence - capture sequence of images with an interval of time of a second to 59 hours. * Motion capture - you can record all motion activity in one AVI file. The image can be recorded only when motion detected. This preserves disk space and excludes the expenditures of time for the survey of unnecessary images. * Motion Detection - alert you immediately when activity is detected. * Scheduler - you can set the schedule for the Image Sequence and motion detection. Qweas is providing links to Webcam Surveyor 1.7.5 as a courtesy, and makes no representations regarding Webcam Surveyor or any other applications or any information related thereto. Any questions, complaints or claims regarding this application Webcam Surveyor 1.7.5 must be directed to the appropriate software vendor. You may click the publisher link of Webcam Surveyor on the top of this page to get more details about the vendor.